Hello hello and happy Monday! I hope you've all had a wonderful weekend - can you believe that it's already February? Summer is two thirds of the way through, even if it hasn't felt very summery this week! 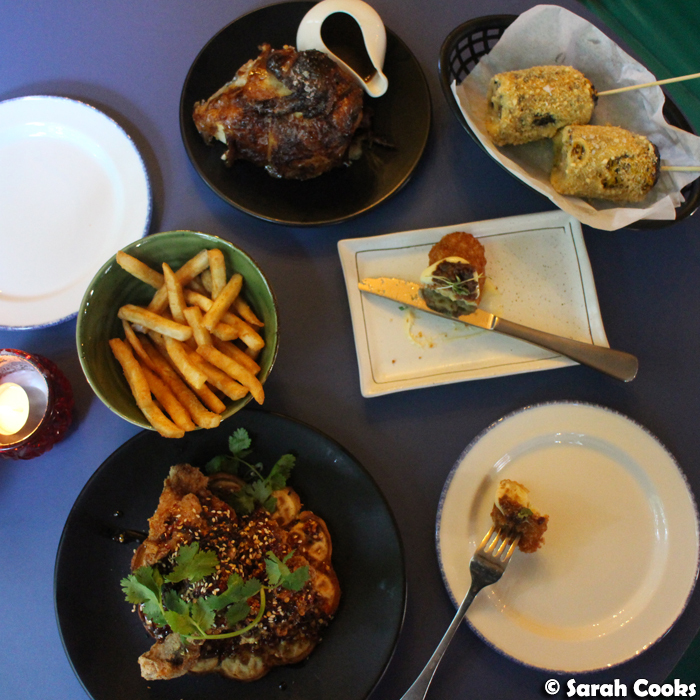 I do have my January Unblogged Files coming up soon, but for today I'd like to share with you my thoughts on some restaurants around Melbourne that I was invited to try out. Cocktails. Rotisserie chicken. Fried chicken and waffles. Belleville has everything I need! 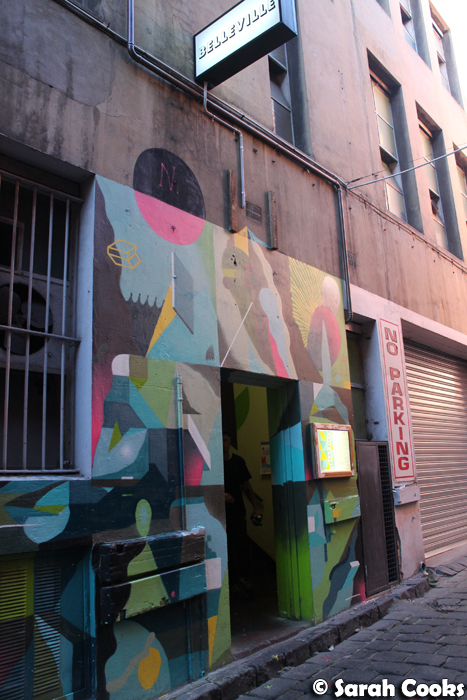 Located up a flight of stairs, on a laneway off Little Bourke Street, Belleville feels very Melbourne. We were there early on a Friday night, and the space was full of people getting dinner, but more and more people came through the night for drinks. It's quite a large venue, and with two bars and a stage (live music and DJs! ), it would be a fun spot to spend an evening. I can never say no to cocktails! Whilst Belleville can do all your classic cocktails, they have quite a few that were created specifically for the venue. 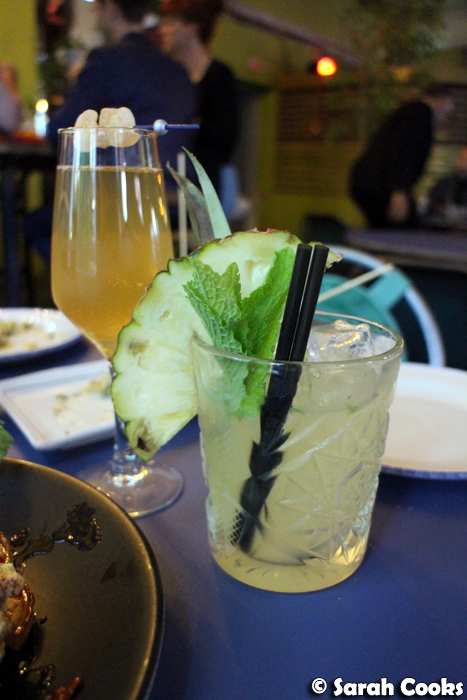 We enjoyed the Josephine (Champagne, Frapin Congac, passionfruit and ginger), and the Sabretooth Sour (Leblon Cachaça, fresh pineapple, lime and mint). These were both fresh and fruity, without being too sweet. Winner! 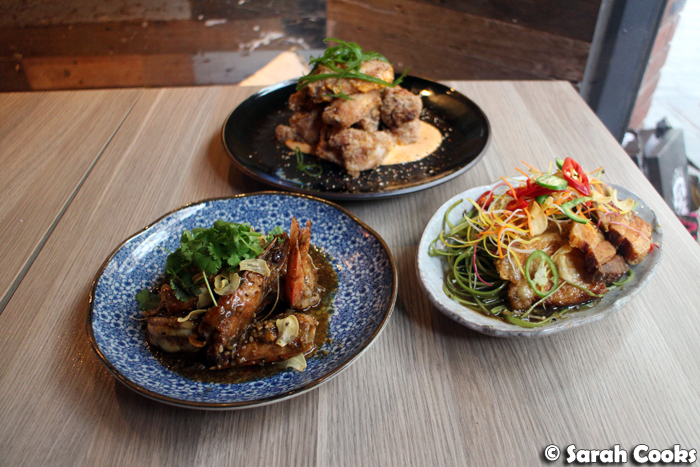 The food menu is a mix of North American comfort food, with Asian influences. 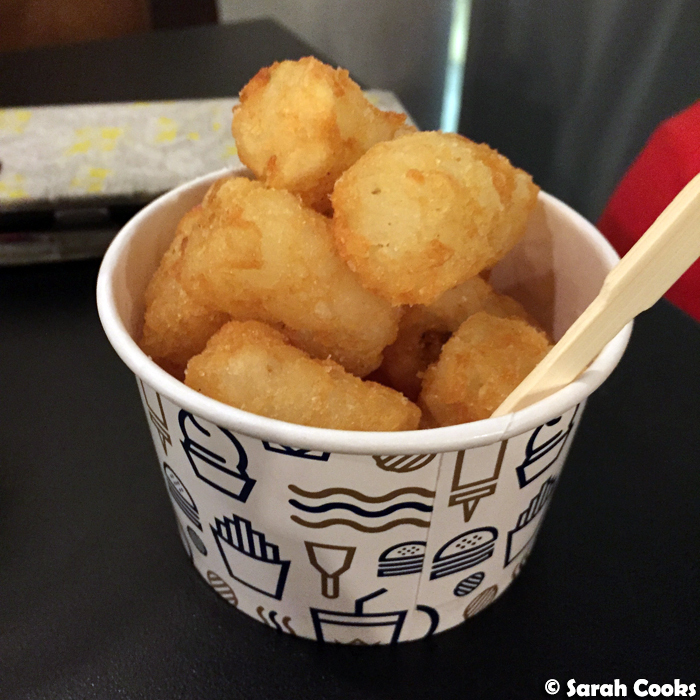 Poutine and fried chicken with waffles sit alongside banh mi sliders and kimchi quesadillas. It's fun and trend-driven, without taking itself too seriously. I couldn't go past the Belleville Chicken 'n' Waffles. This was intense! 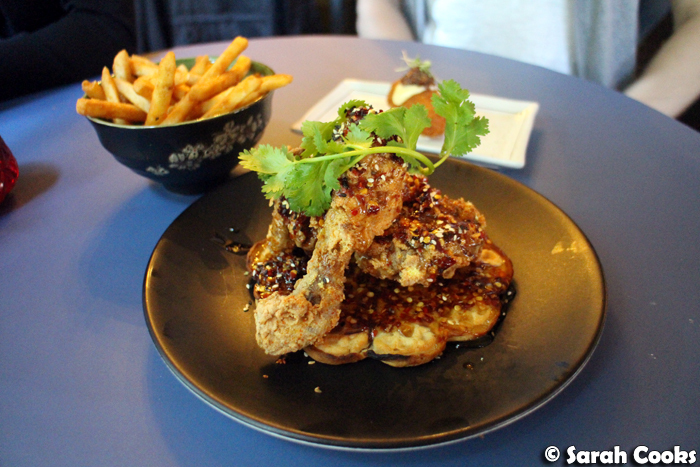 Two crisp and juicy fried chicken pieces sat atop a coconut waffle (the coconut flavour wasn't immediately apparent, but the waffle itself was great, both crunchy and fluffy), and the lot was drenched in a chilli-flecked maple syrup. So many flavours! So many textures! It sounds like it might not work, but it does. The menu's main focus is on its rotisserie chicken - they have a huge 90-bird Brazilian rotisserie in the kitchen. The chicken itself is brined before roasting, and comes either in sea salt and pepper, or glazed in miso butter. You can also order sauces in a range of heats ("mild" to "hot as f#@k"). We tried the most basic version - a quarter chicken in sea salt and pepper, with the mild house chicken gravy - and it was great! The serving was generous too, which reminds me - the quarter chicken ($13.50 with sauce and chips), would be a good option for a treat of a workday lunch. Incidentally, the chips were excellent, and despite being really full, we regretted only ordering a half serve. 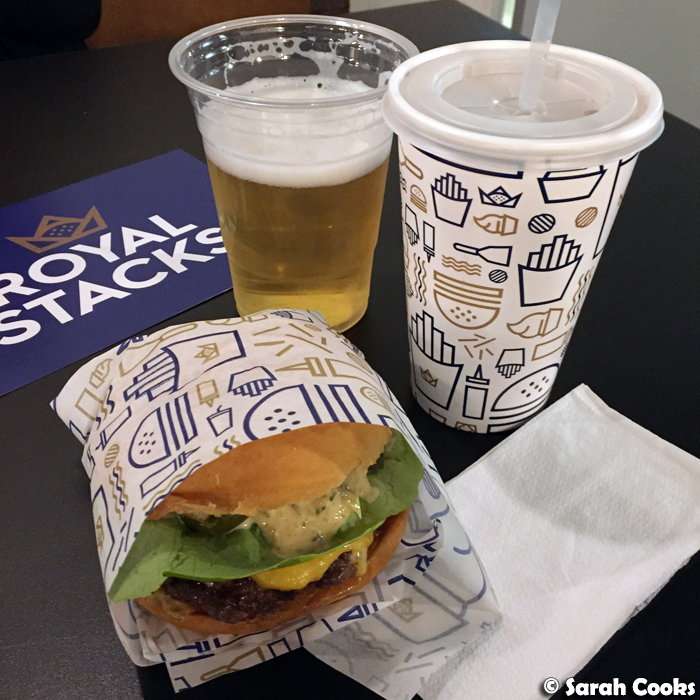 Royal Stacks is a new burger joint down on the corporate end of Collins street, brought to you by the people behind Grand Trailer Park Taverna, Truck Stop Deluxe, Easey's and Dandenong Pavilion. 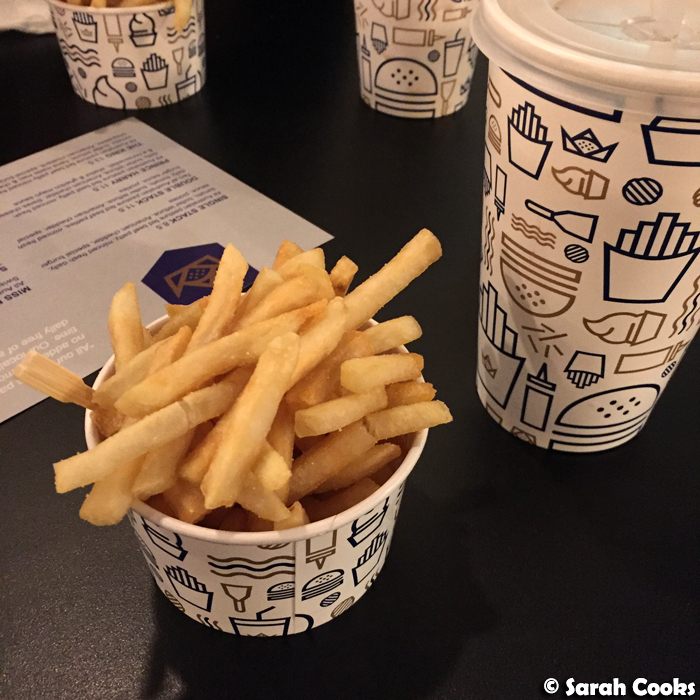 We were invited to the Royal Stacks launch party, where we were treated to full sized burgers from across the menu, drinks, chips and gems, and fab frozen custards. My favourite was the classic "Single Stack", with a beef patty, tomato, lettuce, American cheddar, special burger sauce and pickles. 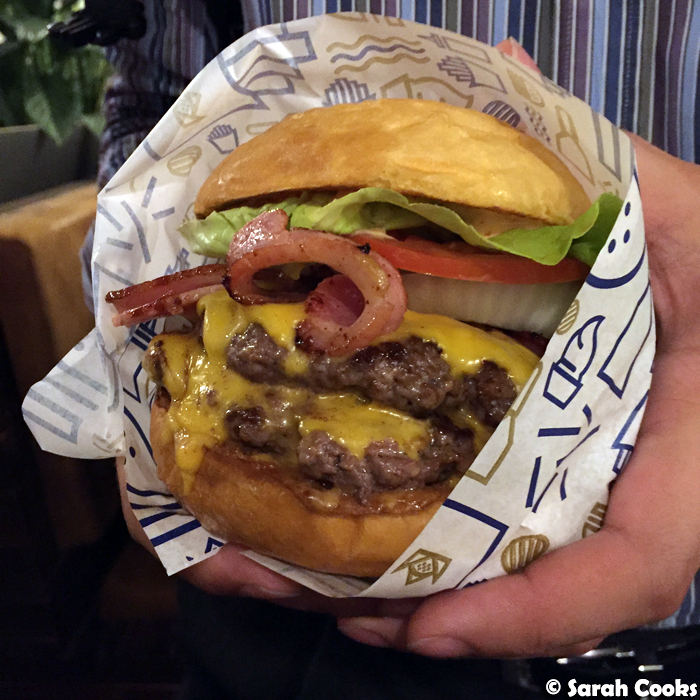 I liked the soft and toasty bun, which wasn't too sweet, and the delicious char on the patty. The burger also managed to maintain its structural integrity all the way through - yay. Thanks to Paul from The City Lane for being a most excellent hand model! I was also really excited to try frozen custard, that staple of American fairs and burger joints. It's a frozen dessert like ice-cream, but with a higher percentage of egg yolk solids and much less air pumped through the mixture, making it super dense, creamy and smooth. I tried the New York Cheesecake and Kinder Surprise flavours, and can highly recommend both of them. (Sadly, no mini toys in the Kinder Surprise frozen custard, hehe). 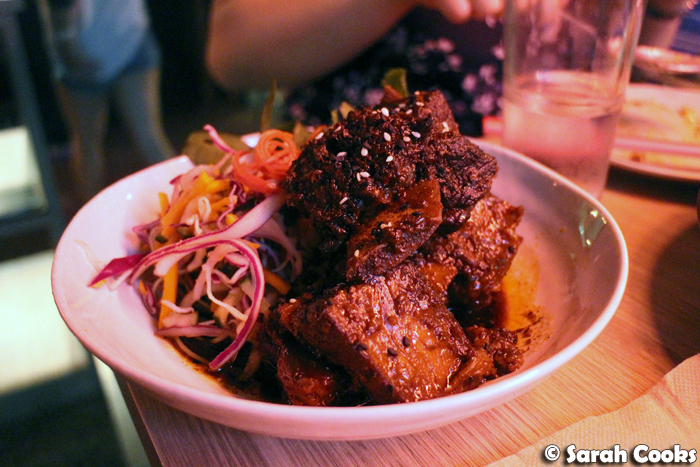 Most recently, I attended a bloggers' dinner at Hochi Mama, a fun and buzzy modern Vietnamese restaurant. 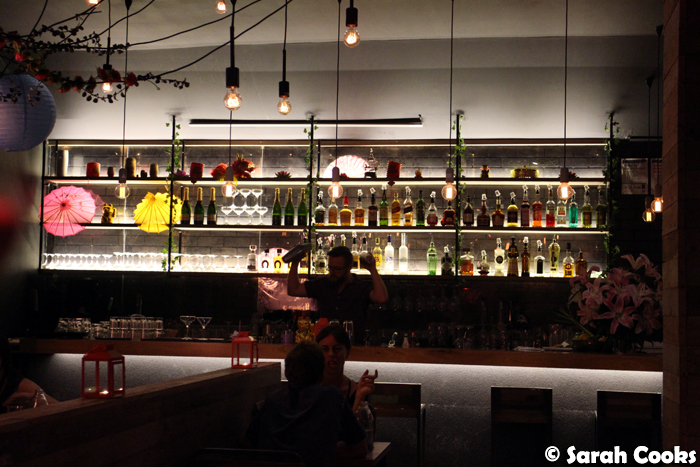 Think - dim lighting, cocktails, and modern interpretations of classic Vietnamese cuisine. 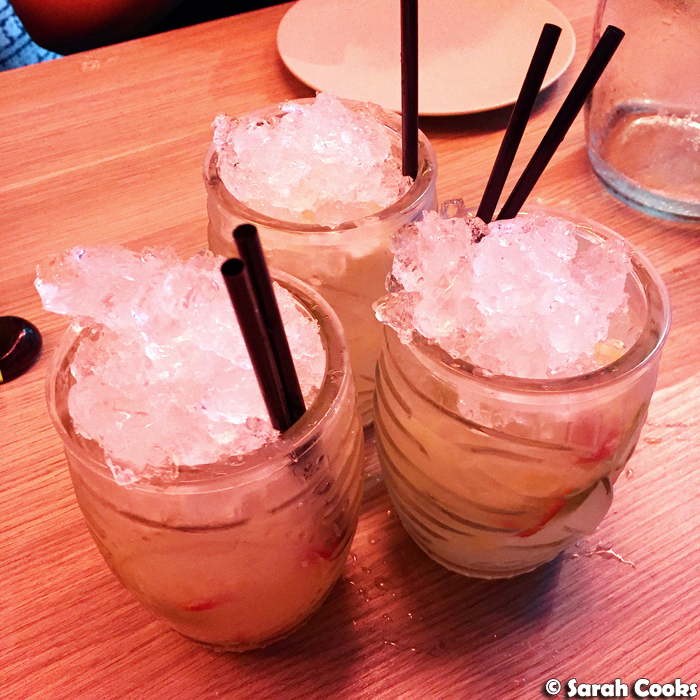 I was impressed by the Killing Me Softly cocktail - kinda like a Caipirinha with the addition of lychee and chilli. Super refreshing and a good accompaniment for food! We tried quite a lot of dishes from the menu, with some dishes hitting the mark more than others. Seafood spring rolls, Southside chicken curry and Hochi fried chicken were delicious and well balanced, and definitely worth ordering. However, I found the Bun Bo Hue (spicy beef noodle soup) and pork belly rice paper rolls a little bland. For me, the highlight was definitely the beef short ribs. These were cooked until meltingly tender, with a nice sweetness in the sauce. The accompanying cabbage and carrot salad really lightened up the whole dish. Highly recommend this one. The coconut banh mi was a great dessert, and was fun and novel without sacrificing taste. 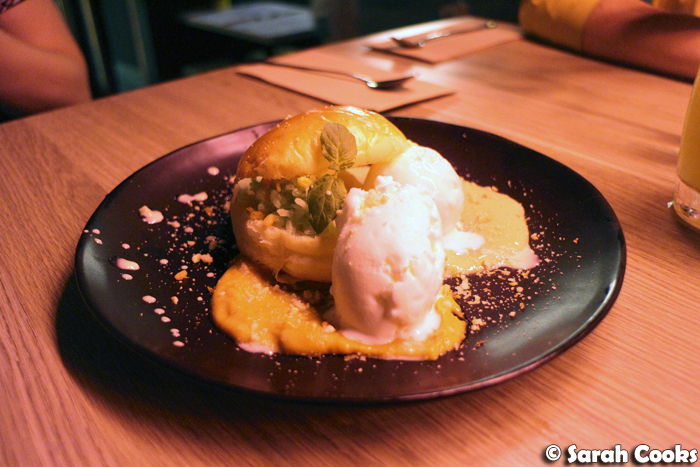 The soft and sweet bread roll was filled with pandan and coconut infused sticky rice, and it came with refreshing coconut ice-cream, crunchy roast peanuts and a pandan custard. Somewhere on the plate was a really rich caramel sauce as well - so good! The combination of flavours reminded me of my favourite Malaysian desserts, actually - very comforting. 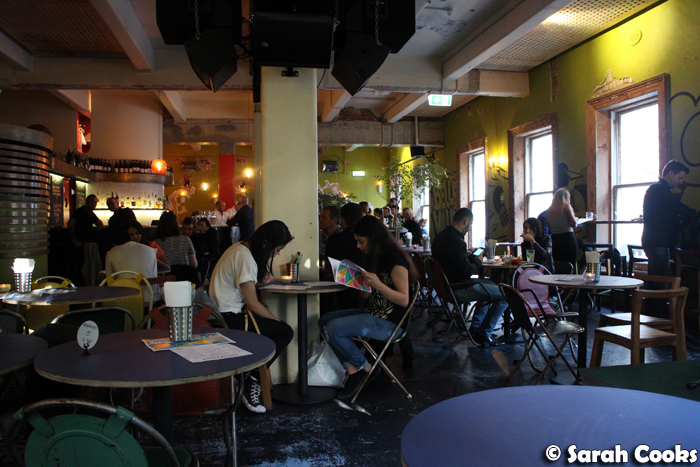 Sarah and Sandra attended Belleville, Royal Stacks and Hochi Mama as guests. You just know I paused and stared and the chicken and waffles for a little while. Royal Stacks looks good - and familiar! 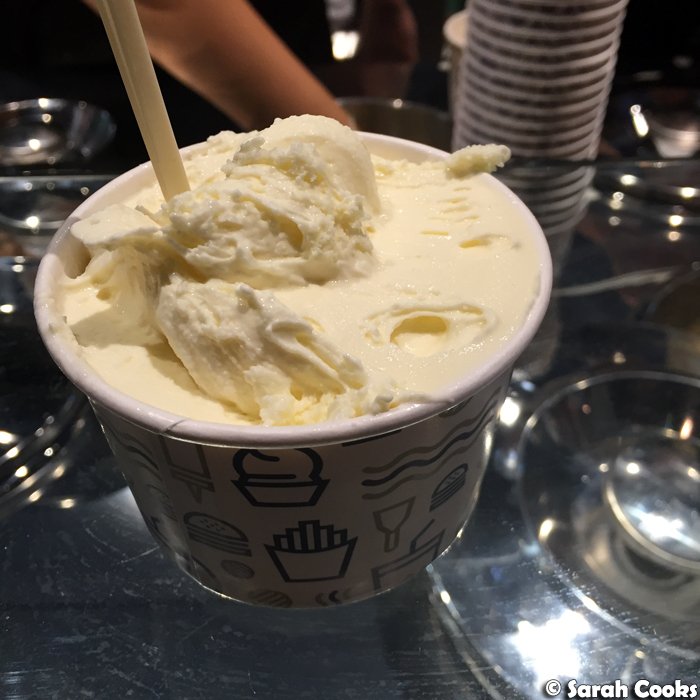 Frozen custard in Aus - woohoo! Have always wanted to try chicken and waffles, that maple syrup looks cray though! A lot of good-looking food in one post! Is there anything better than that? I like the chicken and waffles!